Southampton has been my home from home for three years now, and I’m often asked why I chose here. Growing up in the furthest South-Western point in Cornwall, the thought of joining a big London city university was particularly daunting and so Southampton seemed to provide the upgraded city life with the comfort of the coast. SURNU has provided so many fantastic opportunities that have made my university experience the best it could have been. What makes the University of Southampton stand above the rest is the wide range of both subject and extra-curricular opportunities that are offered enabling personal development and individual growth whilst studying. 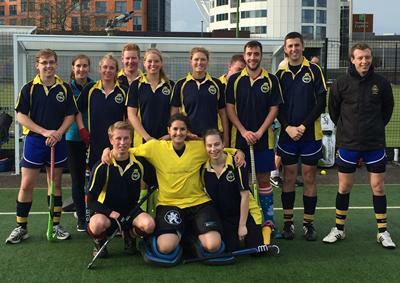 The “bunfight” at the beginning of the year is a particular highlight of how many different activities and societies within the University that are available. There really is something for everyone. At the “bunfight” the one organisation that stood out was Southampton University Royal Naval Unit (SURNU). 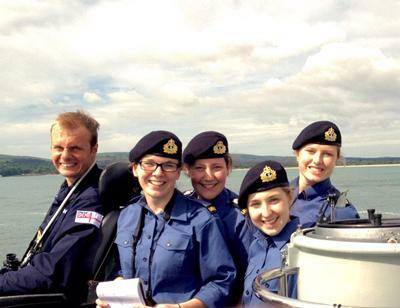 Although the thought of joining the Royal Navy had crossed my mind at Sixth Form, it was really a passing thought, so when I saw that the there was a Naval Unit designed specifically for university students, I took the opportunity to find out a little more about what was on offer and from that moment I have never looked back. SURNU has provided so many fantastic opportunities that have made my university experience the best it could have been. During the two week Easter deployment offered by the URNU, we travelled to the Channel Islands and France. We had many harbour days where we could explore the area we had docked including the Normandy beaches and museums. The URNU provides many societies rolled into one, offering a wide range of sporting activities from the traditional rugby and netball to climbing and sailing. Last year, members of our unit took part in the Tough Mudder and this year look to challenge themselves again in a climbing competition. Whatever your interest is, there is something to suit everyone, and if we haven’t tried it before we are more than willing to give it a go. The unit of 51 students comprised of students from Southampton, Southampton Solent, Portsmouth and Winchester meet weekly to gain a greater insight into the Royal Navy, navigation, leadership and current affairs issues whilst developing our teamwork and communication skills. Everything we learn in the classroom has the potential to be demonstrated outside the learning environment whether it be on the sea weekends, adventurous training, sports sessions or during the 2 week deployments offered by the unit. The sea time provided by our affiliated ship, HMS Blazer, a 20m P2000 patrol vessel, offers the opportunity to practice the skills we have developed in a realistic environment whilst living on board to understand what life is like on ship. In my final year as a member of SURNU, I had the privilege of being SURNU’s Senior Midshipman. A role that involves ensuring the calendar for the URNU has been fulfilled and being a liaison between the students and the command team. 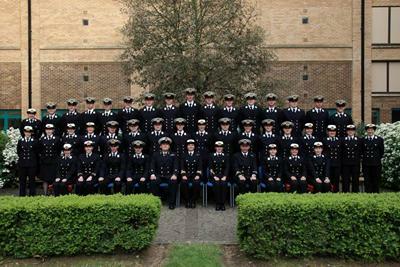 This year, URNU has proved itself as the best URNU, this has been reflected in the many invitations we have received to attend prestigious events including the Second Sea Lord’s carol concert and Burn’s night dinners in HMS Nelson. The success of the unit this year has completely been due to the effort and commitment from all the students to make the most of the opportunities that are available and representing the unit so well. The URNU is an incredible opportunity to meet new people, learn new skills and enhance teamwork and leadership with a fantastic group of people. Whether you have an interest of joining the Royal Navy or not, the experiences gained as a member of the unit will be invaluable. The skills set gained as a result of being part of the URNU are completely transferrable in civilian life, and I would truly urge anyone to join the URNU and make the most out of your time at university. The URNU’s aim is to provide tomorrow’s leaders with the right skills to set them apart from their peers whether they decide to join the Royal Navy or not. If this is something you are interested in visit Southampton University Royal Naval Unit website.